A major part of our carpentry work in conservation is roof structural repairs and structural component repair/replacements in roof and internal floor structures in older buildings and Protected Structures. We offer services retro fitting of breathable insulations using hemp and sheeps wool. We have access to a fully fitted modern joinery shop. We work in all woods including oaks, pitch pines, beech, walnut, cherry wood, mahogany, teaks and poplar. Our skills include repairing and making matching bespoke replacement profiles. Conservation of ornate roof trusses, and roof features, window units, sash windows and shutters/boxes, stairs, internal and external door sets, cornices, ceiling boarding and mouldings, church pews, confessionals and other features. We also manufacture complete units, window shutter boxes and shutters. Lime renders and lime repairs form a considerable part of our business. We use skilled locally based craftsmen and lime sourced in France and Germany. Small to large projects including complete lime rendering of facades and post rendering maintenance are carried out, with ancillary repairs or works to stone features such as window cills and window brows. A complete lime render was carried out at Annamult House [Link to project details]. 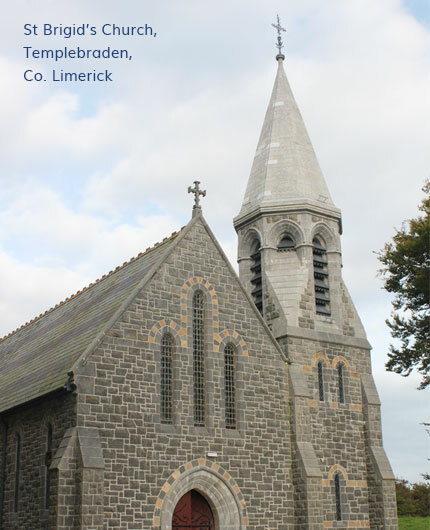 On Templebraden Church [Link to project details] a complete external repointing was carried out on the cut and dressed stone elevations. Caplan Construction employ craftsmen skilled in stonework. This includes frost damage repairs, repointing, stone repairs using specialist mortars, stone replacement including replicating cut stones and features such as window brows, roof truss corbels, barge kneelers and apex stones. Most of our works are in limestone, marble and granite. Templebraden Church [Link to project details]. Caplan Construction has access to skills for restoring metalwork and remaking components where these are required. We work in wrought iron and cast iron as well as mild steel. Typical components we work on include weather vanes, roof top features, hip irons, cast roof lights, window decorations, roof truss plates, balustrades and the like. These have featured on conservation projects we have carried out including Annamult House [Link to project details]. Caplan Construction employs a number of skilled craftsmen with extensive experience in roof works and conservation works on roofs. We work with natural slate, double lap clay tiles, fibre cement and concrete tiles using nailed and hook fixing systems. Copper and leadwork soakers, parapet outlets and profiles associated with natural quarry slate can be carried out in house. We also have the skills in house for roof penetrations, repairs, ventilation and moss removal. Castleoliver [Link to project details]. Most of our conservation projects require works to the external rainwater goods. On historic and older buildings these are generally made up in cast iron but on occasions are in copper, or lead. Caplan Construction has a team in place for restoring existing rainwater goods including heavy section cast iron gutters. This can include shot blasting and coating in high performance marine type protective coatings as used at Nicker Church [Link to project details]. We also have access to specialist firms with the skills to make matching castings where an exact match is required. Caplan Construction work with a number of glass specialists with skills in leaded glass, stained glass and heritage approved double glazing. Stained and leaded glass works are normally carried out in situ, requiring skill and suitable health and safety compliance. Heritage double glazing can be carried out either in our workshop or in situ using specialist bedding materials and compounds. Examples of stained glass are at Templebraden Church [Link to project details]. We have a team of woodworkers available for restoring wood windows and external joinery. We have our own workshop facility where windows can be removed to and stored for repair and restoration. The sashes were removed and stripped of all glazing, new seals, weights, chains. Slim heritage double glazed units were used and the windows rebalanced and fitted. These works were carried out during the academic year while the premises remained in operation. Many of our conservation projects arise from water and decay, either from below ground or through above ground defects. We are skilled in dealing with these repairs including dry rot treatment, roof water ingress. We work with specialists in retro fitting of damp proofing systems in older buildings and Protected Structures.